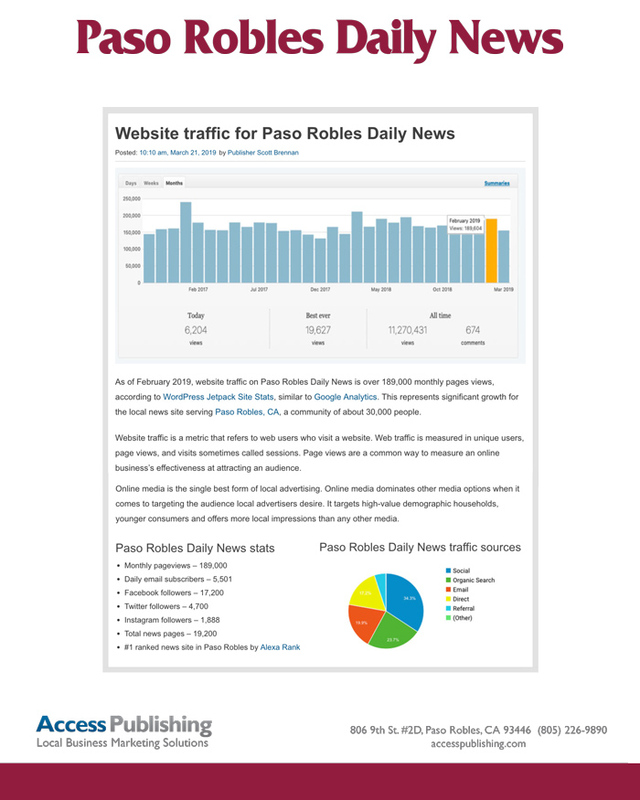 As of February 2019, website traffic on Paso Robles Daily News is over 189,000 monthly pages views, according to WordPress Jetpack Site Stats, similar to Google Analytics. This represents significant growth for the local news site serving Paso Robles, CA, a community of about 30,000 people. Website traffic is a metric that refers to web users who visit a website. 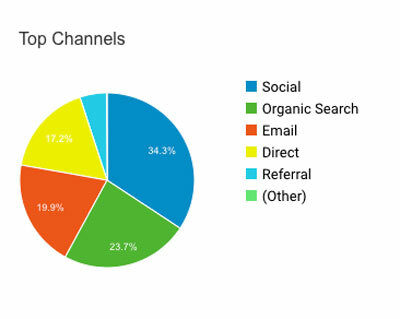 Web traffic is measured in unique users, page views, and visits sometimes called sessions. Page views are a common way to measure an online business’s effectiveness at attracting an audience. 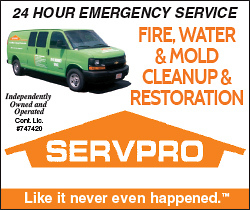 Online media is the single best form of local advertising. Online media dominates other media options when it comes to targeting the audience local advertisers desire. It targets high-value demographic households, younger consumers and offers more local impressions than any other media. 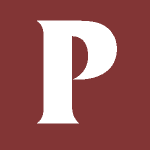 Click here for more information on the rankings of Paso Robles news sites. Click the image below for PDF flyer of Paso Robles Daily News usage statistics.